Actor Christopher Eccleston (The Leftovers, Thor: The Dark World), Marsha Thomason (White Collar) and Paterson Joseph (The Leftovers, Law & Order: UK) are to lead the cast of ITV’s new four-part drama, Safe House as filming begins. The character-driven drama, created and written by Michael Crompton (Kidnap & Ransom), also includes Jason Merrells (Emmerdale, Waterloo Road), Nicola Stephenson (All At Sea, Holby City), and Peter Ferdinando (Doctor Who, A Field in England). Made by Eleventh Hour Films and inspired by a real couple, Safe House is a tense thriller set in the beautiful wilderness of the Lake District. 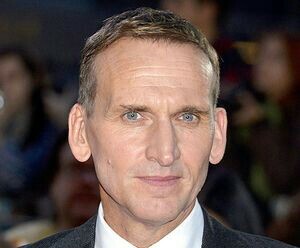 Robert (Eccleston) a former detective and Katy (Thomason) a teacher are a married couple who are asked by close friend and police officer Mark (Joseph), to turn their remote Guest House into a Safe House. Their first ‘guests’ at the Safe House, are a family in fear of their lives after they are violently attacked by someone who claims to know them. For Robert protecting the family resurrects fears and anxieties bound up in a terrifying night eighteen months ago – where he was protecting a star witness who was about to testify against her gangland husband. Unexpectedly, he was shot, and she was killed. As a consequence of running the Safe House, Robert re-questions this incident and uncovers a web of lies. Safe House has commenced filming today (6th October 2014).